Once again, is the media at fault for what they give us in the news? The “hoax” in the establishment media’s narrative is, of course, the phony outrage over the phony pretense that Trump’s separation policies are any different from those of former President Obama. (They are not.) The media fabricated this narrative out of whole cloth as a way to blot out the fallout over the FBI’s devastating inspector general’s report and the congressional hearings that followed. Nevertheless, this poll, which was taken immediately after Trump reversed his and Obama’s policy of family separation, shows a ten-point increase in support from Hispanic voters when compared to last month’s poll. Trump’s overall approval rating is 47 percent, a two-point jump from last month. Trump also improved his standing among Republicans by six points and Democrats by four points. Voters overwhelmingly approve of Trump’s handling of North Korea (59 percent), and a whopping three-quarters approve of the president’s summit with North Korean dictator Kim Jong-un. The only dip came from independents (four points). Obviously, another factor in Trump’s improving numbers is a thriving economy and the collapsing media hoax surrounding Russian collusion. As each new revelation drops, as the truth is slowly revealed about the Obama administration’s un-American attempts to use the FBI to stop Trump from being elected (using wiretaps and spies), special counsel Robert Mueller and his merry band of left-wing partisan investigators look more ridiculous by the day. 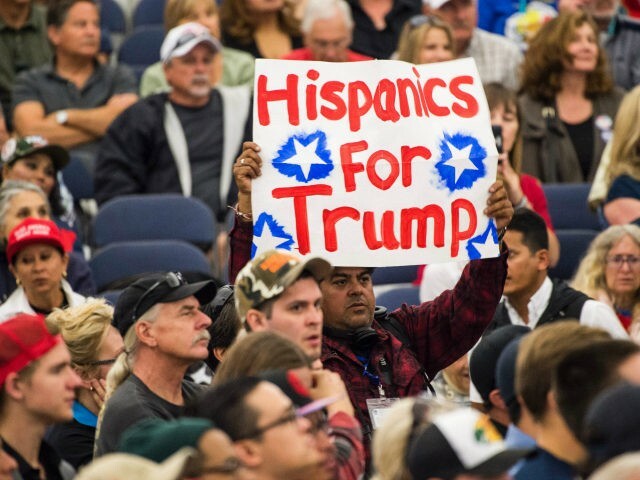 As far as the jump in Hispanic support, that is not at all surprising to those of us who know everyday Hispanics. (My wife is a Mexican immigrant-now-citizen). From my experience, legal immigrants, including Hispanics, resent illegal immigrants even more than everyday Americans do. And why shouldn’t they? Legal immigrants followed the rules, went through all the trouble to do things legally. So, naturally, they resent the idea of line jumpers when they waited in line ten years. What’s more, illegal aliens take jobs and depress the wages of Hispanic Americans just like they depress the wages of all Americans. While the corrupt media and Democrats want to make illegal immigration about identity politics, according to this poll, Hispanic Americans are not buying it.